Slimlite Slate is a revolutionary new surfacing products created by splitting raw material from actual slate and quartzite quarries into very thin layers of stone. This thin layer is bonded to a fiberglass backing, producing a strong, yet flexible piece of stone, making it an ideal facade for installation over existing surfaces and remodels. SlimLite Slate adds to the list of several new products featuring the SlimLite name. SlimLite products are designed with easy handling, transportation and installation in mind, delivering the classic elegance of tile and stone in a lighter, more sustainable format. Because of their slim structure, the design opportunities with SlimLite products are virtually limitless. SlimLite products are at least 30% thinner and lighter than the standard product, lowering transportation emissions and costs, as well as producing less waste due to less packaging, without forgoing the beauty of high-quality tile and stone. Buy online Daltile Slimlite Copper 12 in. x 24 in. 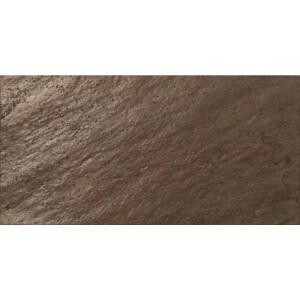 Slate Veneer Wall Tile S7761224LITE1P, leave review and share Your friends.